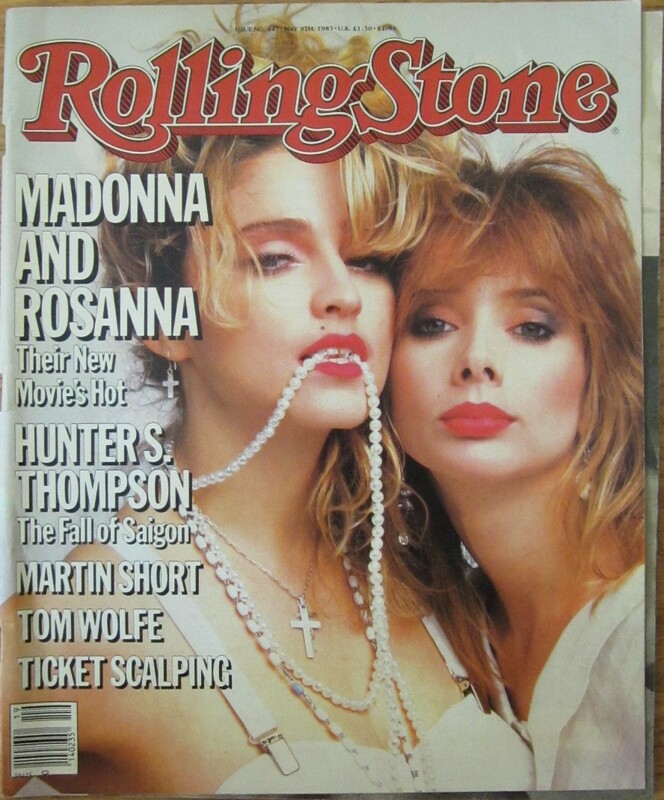 Original May 9, 1985 issue of Rolling Stone magazine featuring pop music icon Madonna on the cover along with actress Rosanna Arquette (co-stars of the hit movie Desperately Seeking Susan). This is a rare newsstand edition with NO SUBSCRIPTION LABEL. 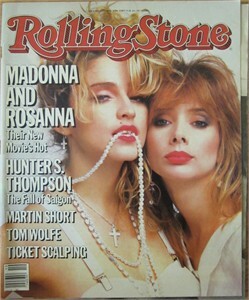 Cover is a bit loose but magazine is in excellent condition for its age. NOT AUTOGRAPHED. ONLY ONE AVAILABLE FOR SALE.